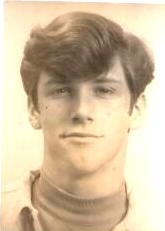 Gregory "Greg" Bowman, age 66. Resident of Latonia KY. Passed to his eternal home on April 28, 2019. He was a marketer for local Flea Markets, Roman Catholic by birth, a Korean War Veteran and enjoyed hunting and fishing. He is survived by his: brother Alvin Bowman: sisters, Theresa Bowman (Jerry) Barnes and Pamela Barnes Westenmeyer. Visitation from 11:00AM until hour of service at 1:00 PM Friday, April 5th at the Allison & Rose Funeral Home, 5645 Taylor Mill Road, Taylor Mill, KY. Interment St. Mary Cemetery, Ft. Mitchell, KY. If desired, on line condolence may be made to www.allisonrosefuneralhome.com.